BBC reporting on Eritrea and the need for some kind of accountability. The Eritrean diaspora have been outraged with the uncalled-for and outlandish diatribe against the Government of Eritrea by a certain Yemane Nagish (Nagish), a journalist with the Nairobi-based BBC Tigrinya Service. Yafet Zereou, a British Eritrean based in London, dedicated time and energy to meticulously translate, from Amharic to English, the salacious, inflammatory and offending interview that this individual gave to three bloggers and which was subsequently broadcast on the World Wide Web on April 3, 2017 and is now in the general public’s awareness. The offending interview dwelled on trite and hate propaganda; with no analysis whatsoever of the reality, critical issues and developments or trends in the Horn of Africa. Evidently, the rapprochement between Eritrea and Ethiopia; the removal of the unjustified sanctions; and, the emergent US foreign policy in the Horn were matters distinctly outside the competence, political awareness and radar of the principal protagonist. The interview regurgitated a number of false narratives on Eritrea. Nagish miserably failed, throughout his half-hour long diatribe, to provide researched, balanced or fact-based information. Nagish’s comments were emotive, libellous and defamatory. He was at the time of the interview included in the BBC shortlist for the new Tigrigna Radio Service to cover both Eritrea and Northern Ethiopia. The BBC should have undertaken the requisite due diligence to eschew conflict of interest and ensure adherence with the BBC’s recruitment policy and pronounced standards of independent, trusted and unbiased reporting. Nagish was acutely aware of the power of western media, and as a weapon of war against Eritrea. And his position at the BBC is all the more precarious as is his subversive intent, are beyond any shred of doubt – as the interview in question amply illustrates. This biased reporting impacts on our perception of the region. Especially the failure of the BBC to report factually on the ground reality in Eritrea and its selective approach of wilfully ignoring the grave human rights violations that were occurring in Ethiopia at the time. Incidentally, demonization of Eritrea for political ends and the many false narratives generated by our biased reporting – much of it by activists of the previous TPLF regime – has augmented the influx of “refugees” to the UK. The indelible fact is a substantial number of Ethiopians routinely pose as Eritreans in order to seek and obtain “refugee status” premised on our readiness to grant “automatic asylum” to all Eritrean migrants which in itself is predicated on the demonization campaigns. Another former BBC journalist and reporter, Martin Plaut, has also been culpable of wilfully propagating false narratives and distortions on events and trends in Eritrea for many years now. These narratives are not based on the ground reality in Eritrea and their sole aim appears to be to nurture emotive activism, aka slacktivism, (the practice of supporting a political or social cause by means such as social media or online petitions, characterised as involving very little effort or commitment (online oxford dictionaries)); thereby hindering any genuine, intelligent and constructive engagement on Eritrea. Repeated pleas and protestations to a number of our MPs to rectify this unhealthy bias have not been heeded. The only exception is our conservative Right Hon. Crispin Blunt who chaired an informative and balanced foreign affairs select committee hearing on Eritrea in March 2017. Let us now examine, if only to highlight the gravity of the distortions, a few of the statements presented in the discussions/ interview with Nagish. First, his reference to the prevailing situation of “no-war, no-peace” was inaccurate and dishonest. 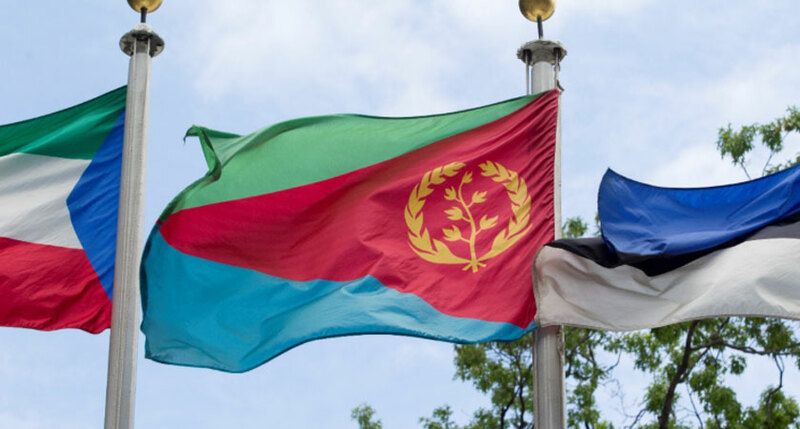 It was meant to downplay the flagrant refusal of the TPLF-dominated Ethiopian government to respect its treaty obligations and abide by the Eritrea Ethiopia Boundary Commission (EEBC) decision. Nagish and others would thus talk of an “impasse” instead of calling a spade a spade and point the finger at the real culprit – Ethiopia. Discussions of extended military service, without taking this context into account, are also superficial and incomplete. The extended national service (often incorrectly referred to as “indefinite”) was indeed the inevitable by-product of the subversive acts of Ethiopia. The Eritrean youth were not victims of the Eritrean Government but the destabilising actions of the Ethiopian Government. Second, no reference was made to the imposition of the “unjustified” sanctions on Eritrea, – instigated by those who wanted to deflect attention from Ethiopia’s violations of international law. This illicit act entailed an excruciating burden on Eritrea. “sanctions are a weapon of war and were used unjustifiably against Eritrea. The deliberate use of the unjustified sanctions, although dubbed as a mere arms embargo had a detrimental impact on existing businesses and impacted the flow of investment to Eritrea”. This was the environment for Eritrea and none of these important background facts, context – made it to the media or in the discussions with Nagish. Any discussion without reference to these critical issues would have been superficial, pedestrian and at best a layman’s analysis. Exactly the analysis that pervaded our media at the time. Third, the failure to report fairly on the ground reality in Eritrea including measured and sustainable development with zero toleration of corruption; Eritrea’s designation as the World Heritage site by UNESCO; the success of the MDGs and now SDGs; sustainability initiatives and the success of Eritreans in world class cycling competitions by way of example. This lack of honest, contextualized reporting on Eritrea indeed illustrates the preponderance of a geopolitical agenda by certain powers that were in cahoots with the TPLF-dominated Ethiopian government and who shared the same interest in demonizing Eritrea. In the interview in question, Nagish resorts to egregious, defamatory and outrageous labels in his description of the Government of Eritrea. In his insolent remarks he states: [The Government of Eritrea is] “a murderous, dictatorial [and mafia] group. The regime has to commit atrocities, engaged in dispute/fights with its neighbours, caused its people to fight their neighbours in order to exist. Causing havoc is the bread and butter of this government”. He continues with his unbridled remarks with: “The government in Asmara is a mafia group, a band of robbers and it must be apprehended (taken out of action) …The Eritrean government is a force for evil, a destructive force”. Nagish seeks to incite violence pleading “We have to seek ways to not only isolate it [Eritrea] from the international community but drive a wedge to rip it [Eritrea] away from the Eritrean people and the Eritrean state. If we are unable to do this, it will come for us after finishing off the Eritrean people”. Nagish’s excesses aside, similar toxic and calculated statements have in fact characterized most the reports on Eritrea to reinforce a negative narrative that is at odds with reality. Today, the subversive, corrupt and die hard contingents of the TPLF are being flushed out by the newly elected Ethiopian Prime Minister Abiy Ahmed. The policies include an awareness of the endemic corruption that pervaded that part of the TPLF leadership. The narratives that were disseminated by our western media are a stain on our independent reporting and free press. And it is important that our western institutions are cognisant of the subversive elements of the TPLF in Ethiopia and their stranglehold on institutional media and narrative against Eritrea. We need to move away from such divisive outdated agendas that have permeated our foreign policy in the Horn and with respect to Eritrea.